The Alfer marque really needed a World Trial rider to advertise the marque . 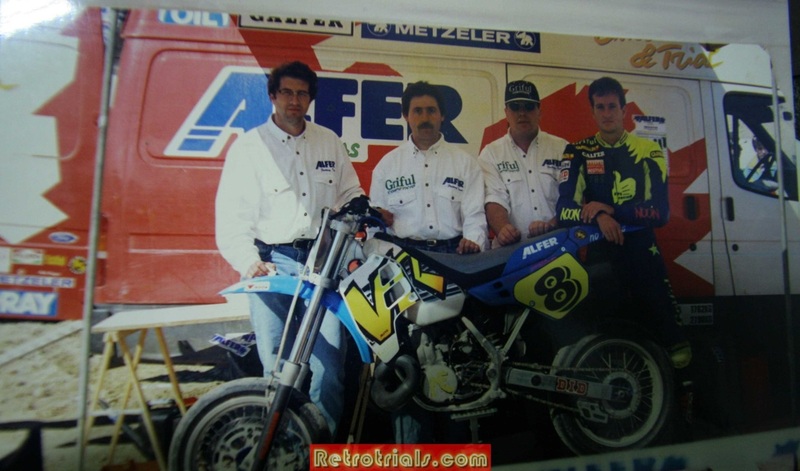 Multiple Spanish champion and World Trial winner Lluis Gallach was approached after he had left GasGas , due to the arrival of Amos Bilbao and he made the decision to join Alfer via Felip and Albert who were now running the Trial , enduro and Supermoto teams. faced with heavy competition the Alfer trial model was not selling in the quantities the company had hoped for . 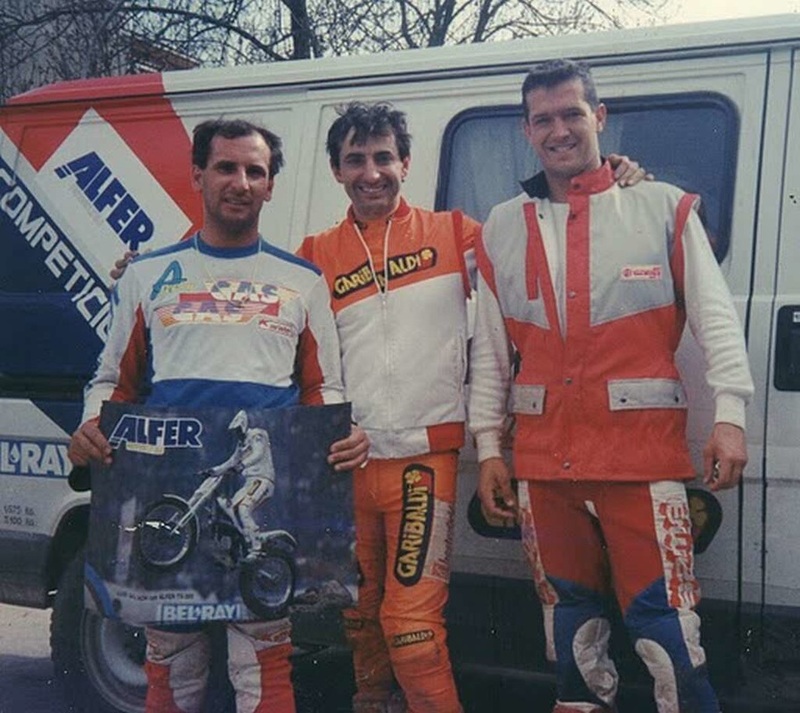 The watercooling revolution had started in 1989 with the Aprilia and the Alfer was outdated the moment the first bike rolled off the production line. The now established open market in Spain had led to heavy imports. 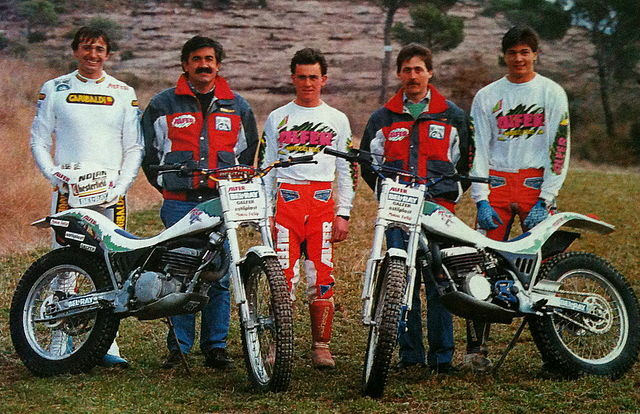 GasGas motos based in the nearby Girona were a force to be reconned with a dealer network far out stripping any other marque in Spain . As a result the company could not take its economic viability for granted as it had done in the past . 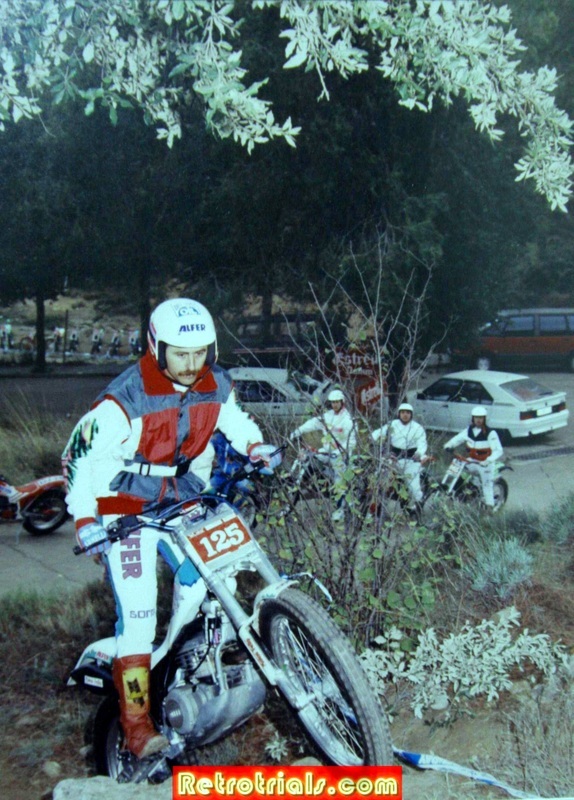 The lack of evolution of its trial models led Alfer to produce only 90 Trial motorcycles. What was the company going to do ? 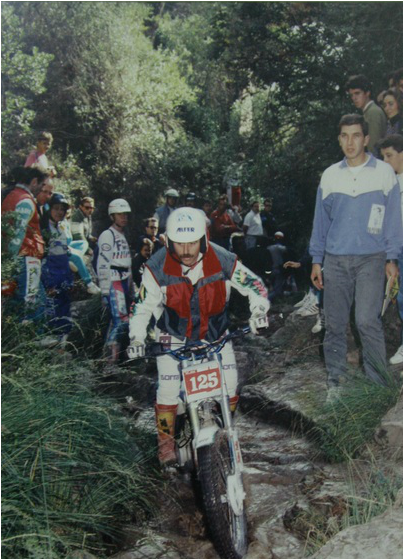 In the meantime Felipe was riding in Spanish National events on his 1990 Alfer TX300 and wondering what would be the next move of Alfer and the boss Mr Almirall. Despite the workers fighting ...and the low production runs ....and the evolution of the the many trial marques also in existence.....Francisco decided to push forwards and develop a watercooled Alfer Trials motorcycle. 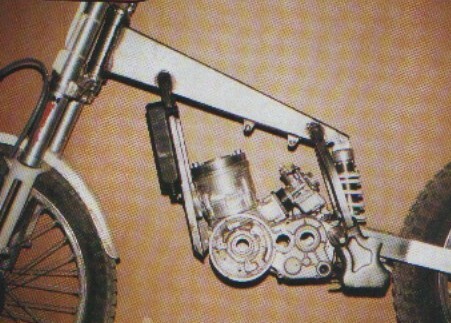 Felip and Albert were already the established developers of the trial models and so they were the asked to create a watercooled Trials motorcycle that would compete with the best. 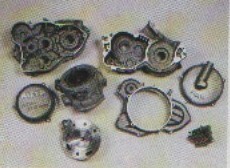 However Francisco Almiral , the company owner had experienced many engine supply problems and did want these problems again . In late 1991 Francisco asked well reknowned engineer Martin Clerch to create a special watercooled engine for the new Alfer. Martin set to work but the challenge to create a new advanced engine at the forefront of technology was huge. There were delays after delays in the various experiments that Martin was carrying out . The engine project wondered on for 1 year and a great deal of money invested , with no .......even near finished engine. 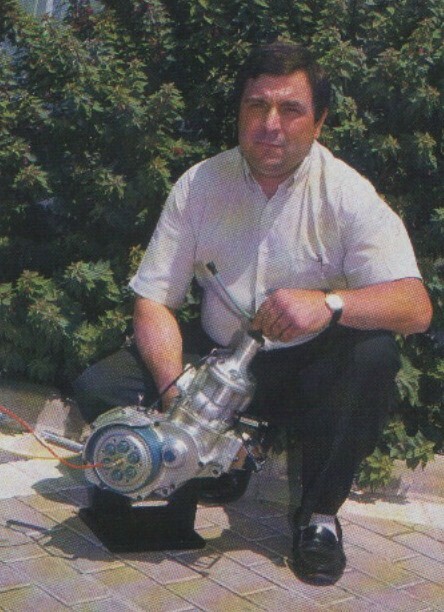 The engineer Martin Clerch holding the prototype Alfer engine. Unfortunately this special Alfer engine never was finished and after delays Francisco decided to stop the engine project. By now Felip and Albert had completed the running chassis and they were desperate for the heart ...the engine.....but what could they do ?.